Having problems accessing a solid 4G LTE signal in your home? This past week,Qualcomm introduced the new FSM90xx SoC that is designed to be included in routers that bring Wi-Fi service to your home. The "small cell" technology used by the chip maker, reduces the coverage area of the cell towers to such a degree, that the signal can be used for indoor and neighborhood coverage. The new FSM90xx SoC can also be used in a device that would be similar to a femtocell. These are used to improve the 3G coverage inside homes and buildings, mostly to improve voice calls for consumers receiving a signal that is too weak. The new chip will allow a similar service to be provided for 4G LTE signals. 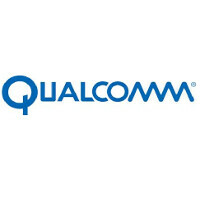 Qualcomm said that it has removed a major problem in embedding a 4G LTE chip inside a Wi-Fi router, and that is interference. With the two living harmoniously in one device, it makes for a level playing field for those who want better 4G LTE coverage. It also could lead to more widespread coverage for Voice over LTE service, which allows consumers to make/take phone calls using their carrier's LTE pipeline. T-Mobile currently offers the service in Seattle while the mobile operator's customers have reported seeing VoLTE in New York City, Chicago, San Francisco, California, Dallas and Houston. I guess it ends up being simpler for Qualcomm to make a chip that will flood your home with LTE and cause a bit more cancer than it is for lazy telecoms to add support for WiFi calling. Is there anything that doesn't give us cancer? This will help us in that currently I get around -120 to -129dBm for an LTE signal. When they do finally switch to VoLTE we'll still have voice service. "Is there anything that doesn't give us cancer?" Since the advent of the industrial age, not much. IIRC the newest cause of cancer is kittens. I think the latest study determined that it is the girlfriend you got the kittens with that is the actual cause of the cancer.